HomeTravel news and articlesWhen is the best time to visit Kenya? If you want to visit a classic safari destination, a safari in Kenya is perfect for you. The east African country offers unique wildlife and beautiful national parks, which provide the framework for experiences you’ll never forget. But when is the best time to visit Kenya? Read more below about Kenya’s weather and wildlife at different times of the year. Please note: The weather in Kenya varies depending on where you are in the country. 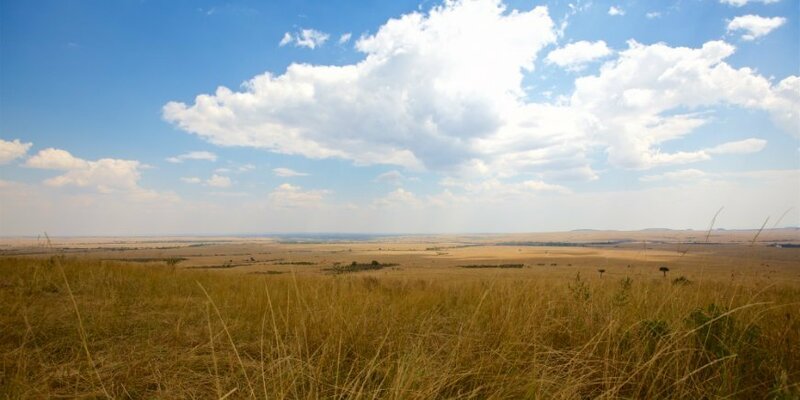 This guide is therefore primarily aimed at those wishing to visit the Masai Mara Reserve. The equator runs directly through Kenya, so the country does not have winter and summer as we know them at home. Kenya, on the other hand, has dry and rainy seasons. April to late May – also known as the “big” rainy season. The end of October to December, also known as the “small” rainy season. However, the rainy seasons can shift slightly from year to year. Thanks to Kenya’s location on the equator, you can expect a tropical climate with warm weather all year round. Average daily temperatures fluctuate from 22–27°C during the year, depending on where you are in the country. Kenya is known for housing the world’s largest concentration of wildlife at some periods of the year. But you have an excellent chance of experiencing the wonderful and varied wildlife all year round. Kenya is home to The Big Five: the lion, the leopard, the elephant, the buffalo and the rhino. The Big Five is an old hunting term used for the five animals that were the hardest and most dangerous for hunters to bring down. Today, the term is also used in connection with safari. The best time to see the Big Five is during periods outside the Great Wildebeest Migration. In addition, you can see hippos, cheetahs, zebras and many, many more wild animals. 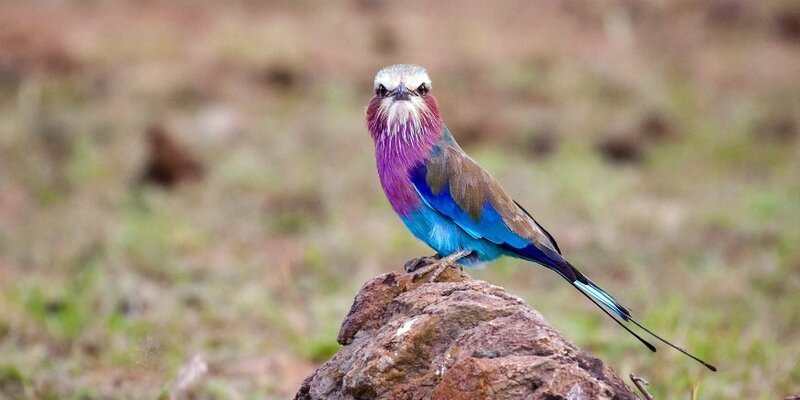 Kenya is also a paradise for bird enthusiasts, with between 600 and 1,000 different species in the country. 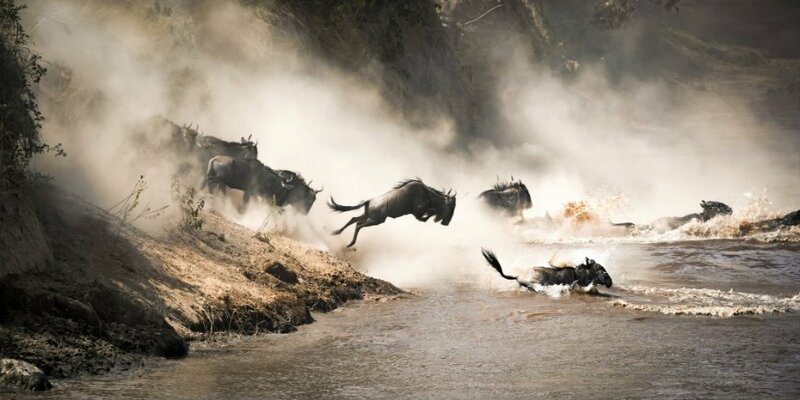 One of the highlights of Kenya is The Great Wildebeest Migration, when some two million wildebeest, zebras and gazelles migrate between Serengeti National Park in Tanzania and the Masai Mara Reserve in Kenya in their search for fresh food and water. Kenya offers incredible wildlife that can be experienced all year round. The open plains of Masai Mara mean that, no matter when you visit Kenya, you will return home a great many animal experiences the richer. 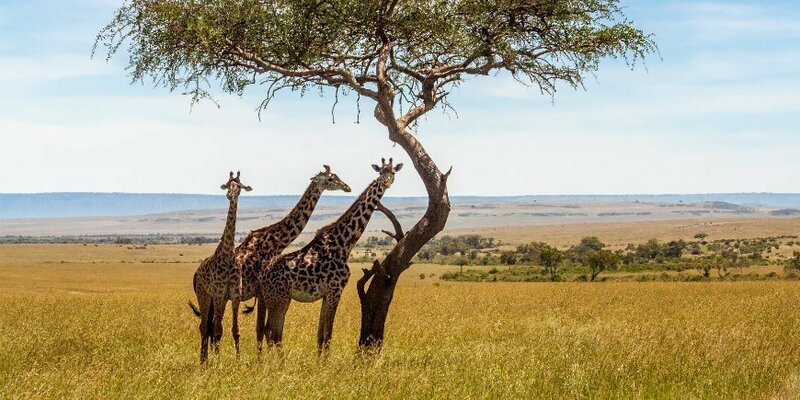 However, it is important to plan your visit a little more precisely if you wish to enjoy specific experiences, such as the great migration in the Masai Mara Reserve. January to March are the warmest months in Kenya, when the average daytime temperature is 26–27°C and the country has very little rain. to Kenya at this time is a wonderful experience because you get a small amount of rain, mild weather and lush terrain. The period is also a great time to see Kenya’s amazing bird life. Many bird species have migrated to Kenya from Europe to overwinter at this time of year. From April (sometimes from late March) to May, it’s the “big” rainy season. The weather is warm, with average daytime temperatures of 24–25°C. The big rainy season produces torrential rain at times, but don’t be put off by the rain. It tends to fall intensely over a short period of time, typically in the afternoon, evening or night, after which it brightens up again. The rain does not therefore affect the safari part of your tour. The rain also helps freshen up the landscape, replenishing rivers and waterholes with water. Kenya really is at its best with its beautiful lush, green nature. Despite it being the rainy season, there are many good reasons to visit at this time. In April and May, there are fewer visitors than normal. So you can enjoy the feeling of a more private safari experience than in the high season. What’s more, the rainy season is a really good time for taking photos. The clouds bring a beautiful contrast to your pictures, which you don’t get if the sky is completely blue. Expect to enjoy a unique, lush experience if you go on safari out of season. June to October offers mild weather with very little rain, and is usually characterised by being the “dry” season. The average daytime temperature is 22–26°C, and June–August are the coldest months of the year. Bear in mind that it may be chilly in the morning and evening, especially during the British summer months. This period follows the “big” rainy season, so the grass is long at the beginning, which can make it harder to spot the animals. But as the days progress, the vegetation becomes lower and the waterholes and the rivers dry out slowly. As a result, the animals gather around the few waterholes that still have water, making it easy to spot them, especially from the middle to the end of this period. From the end of June, large herds of zebras make their way to Masai Mara to eat the coarse grass – and the event is the beginning of the wildebeest migration in Masai Mara, which peaks between July and September. 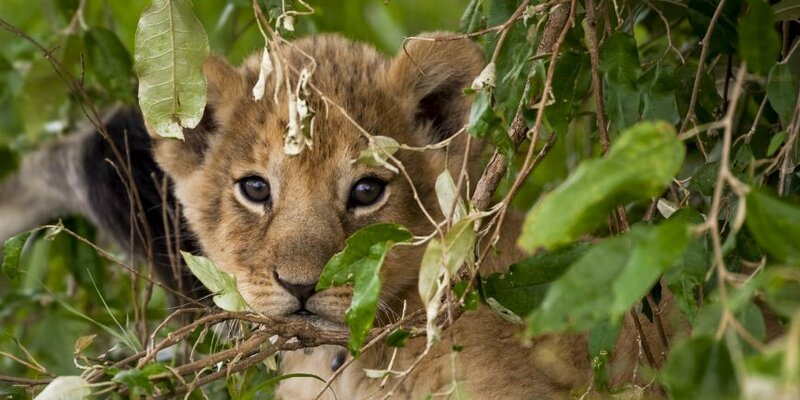 The animals remain briefly at the reserve before crossing the Mara River back to Serengeti National Park in Tanzania in September/October – all depending on when the rain falls. The period attracts many visitors due to the Great Migration. From the middle of October, the “small” rainy season begins. At this time of the year, the average daytime temperature is around 24°C. 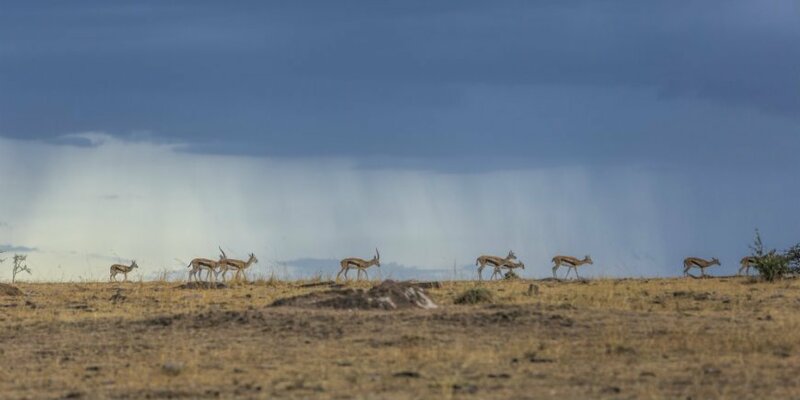 The period follows the long period of drought, with a bare landscape initially as a result, making it easy to spot animals gathered around the waterholes. But the rain sees the return of Kenya’s picturesque green and lush nature. There are fewer visitors, which can make for a more private safari experience on a game drive than between June and October. Once the wildebeests have returned to Tanzania, the large elephant herds return to the Masai Mara Reserve. 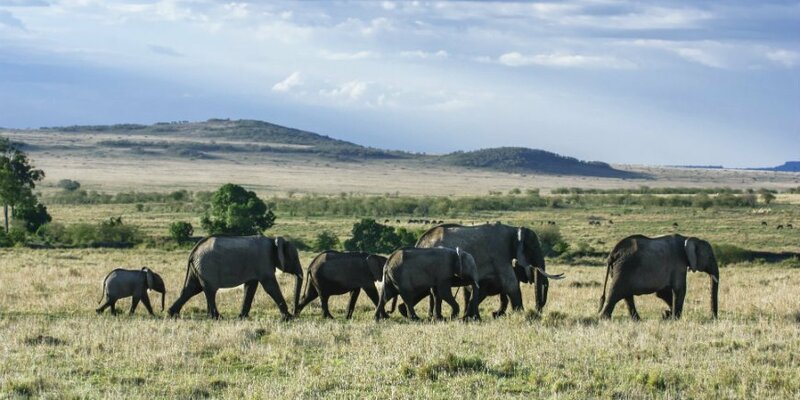 The elephants leave the nature reserve during the visit of all the wildebeest, zebras and gazelles from Tanzania. However, you can still see the many resident wildebeest, zebras and gazelles in the reserve. From mid-October to April, birds start arriving from Europe to overwinter in Kenya’s warm climate. We therefore recommend that you contact our travel consultants to be sure of visiting at the best time for you and enjoying a tour that matches your expectations.